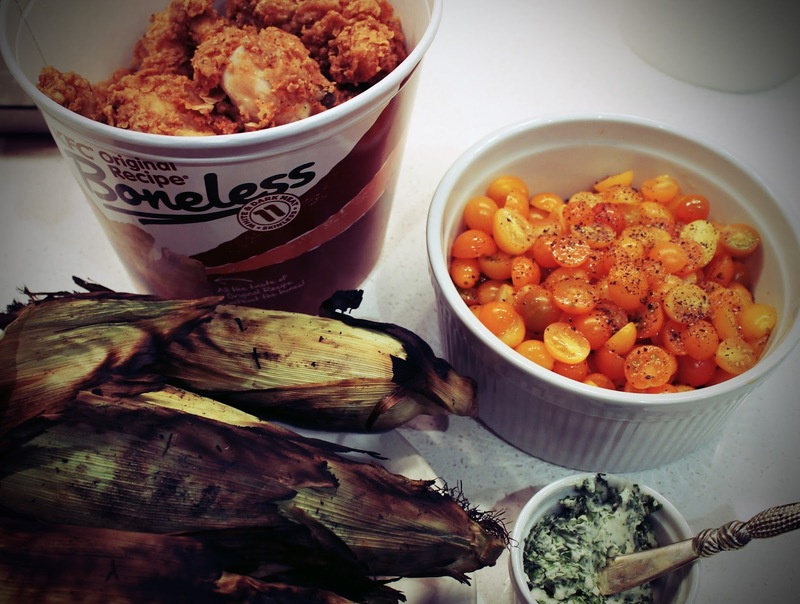 Grilled corn with cilantro butter, cherry tomatoes with olive oil, KFC -extra crunchy. I haven't had a bucket in like decades. So. Good.